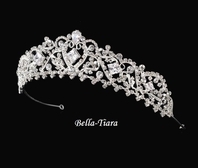 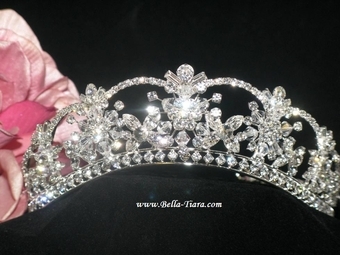 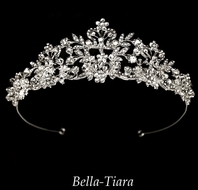 Description: Gorgeous Tiara, Design seen at David's Bridal� sold here at an incredible price. 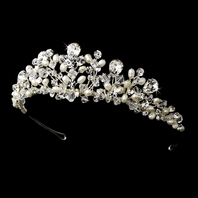 Crystal and rhinestone flowers and arches accentuated with baguette, rhinestone and Swarovski Crystals. 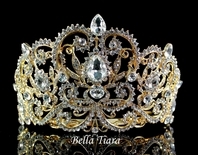 Stunning look, get noticed!! 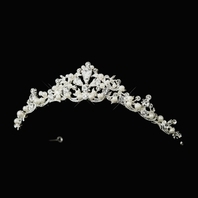 Measures approx 1 1/2" H. hoop at each end.